Paradoxical Intention is a set of techniques developed under the umbrella of Logotherapy, which operates from a psychotherapeutic approach. Logotherapy falls under both Humanistic or existential psychology. Founded by Viktor E. Frankl (1929), paradoxical Intention can be understood as an intervention that uses encouragement and praise to prescribe the very same problem behavior that the individual is wanting to change. For example, if the subject is experiencing insomnia then they will be asked to try and stay awake or if a patient is depressed then they will be advised to let themselves feel depressed and avoid any pleasant situations. Paradoxical intention, paradoxical interventions or reverse psychology is easy to use, has wide applicability and offers quick and lasting results amongst a range of cases (Shoham-Salomon & Rosenthal, 1987). According to the Collins English Dictionary the definition of Paradoxical Intention is; (in psychotherapy) The deliberate practice of a neurotic habit or thought, undertaken in order to remove it. 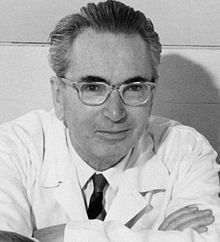 Paradoxical intention is a logotherapeutic technique based on the existential origins of founder, Viktor E. Frankl (1905-1997) who was a Viennese philosopher and psychiatrist. The word Logotherapy was based on the Greek word Logos as meaning, Frankl's ideas emphasise human beings capacity to perceive meaning in their life (Schulenberg, Hutzell, Nassif & Rogina, 2008). Frankl has authored over 30 books and published over 700 articles on Logotherapy and the benefits of its therapeutic application, his most popular book being Man's search for meaning (Frankl, 2006) which was originally published as From Death Camp to Existentialism (1959) which was written shortly after Frankl's liberation from a concentration camp during World War 11 (Hutzell, 2006). With a growing, positive relationship between a sense of meaning and an individuals psychological and physical well being, Logotherapy can offer mental health professionals, as well as individuals a useful set of techniques to enhance ones motivation in all areas related to wellness, awareness of social support, sense of values and identity and stress inoculation. Previous research has shown that meaning is associated with a wide range of positive outcomes for individuals including stable mood therefore less psychological distress, increased pro social and proactive behaviors as well as a generally more favorable attitude and outlook on their life and themselves. These concepts of meaning and wellbeing associated with Logotherapy can help people help themselves through a variety of techniques built from positive psychology (Schulenberger et al., 2008). The well known Logotherapeutic technique of Paradoxical Intention has been validated by behavior therapists since it was first developed and practiced by Frankl in the 1920's. Paradoxical Interventions have been used to assist with recursive anxiety conditions such as a wide range of phobia's, insomnia, public speaking fears and obsessive compulsive disorders. A description of some core, classic components of paradoxical intention include; a non manipulative relationship between the therapist and client, clients biological etiology being completely ruled out, explaining to clients what paradoxical intention is and how it can work for them, specifically tailoring the techniques used to suit the presenting complaints of the individual, assisting the client to fully participate in the state of fear surrounding their problem and lastly incorporating humor to counteract the anxiety they experience (Schulenberger et al., 2008). The use of metaphors and story telling is used often during the course of Logotherapy as a way of encouraging and facilitating change in clients attitudes, this was demonstrated by Frankl himself as he often used his life experiences of spending time in a concentration camp to highlight attitudinal change towards adversity in ones life. Another example of this in a real life example is that of well known Logotherapist Jerry Long who broke his neck and became a quadriplegic at the height of his athletic potential for a career as a baseball player. Long realised that his career prospects in baseball were over however he still had his freedom in every other area of his life, he then used those freedoms to change his career aspirations and became a Logotherapist himself. Longs motto was "I broke my neck: it didn't break me". The message to clients from such stories is regardless of ones circumstances, a positive attitude can be chosen despite adversity (Long, 1995). The techniques involved with Paradoxical intention have been shown to be particularly effective with cases of phobia's and obsessive compulsive disorders. To get an overview of what this treatment looks like one needs to begin with the starting point of anticipatory anxiety. When a clients symptom is evoked they will experience a fearful expectation that whatever they are afraid of might recur, this expectation produces the very fear that they are afraid so the vicious circle of fear is maintained. The clients symptom evokes a phobia, their phobia then provokes the symptoms they experience so then the recurrence of such symptoms reinforce their phobia. Clients often speak about experiencing anxiety about their anxiety, this fear of fear is often caused by the clients apprehension about the possible effects of their anxiety, for example someone experiencing claustrophobia may be afraid that their symptoms experienced when thinking about confined spaces may actually lead them to stop breathing and pass out. Frankl explains that the most typical reaction to clients fear of fear is the flight from fear meaning that clients begin to avoid what it is they fear. This provides the starting point of anxiety neurosis because phobia's are often due to the effort made to avoid the situations that produce anxiety (Frankl, 1975). The flight from fear is typical of the phobic pattern according to Frankl (1975) and the more that a client attempts to fight the fear, the stronger the fear becomes. Frankl believed that pressure induces counterpressure and that counterpressure in turn increases pressure so with this vicious cycle in action, how does one break such a destructive pattern? The answer to this is by using Paradoxical intention which essentially involves the therapist encouraging the client to do or wish to happen the very things that they fear. The phobic client is then assisted with stopping the fleeing from their fears response , or in the case of the obsessive compulsive client they are assisted in stopping trying to fight their unwanted obsessional thoughts or compulsive actions. A client of Briggs (1970) once famously declared that the bull is now taken by the horns. This results in anticipatory anxiety being unhinged (Frankl, 1975). To see what paradoxical intention looks like in real life cases, here are three different accounts. The first account is a case of self-administered paradoxical intention in regards to a college student that had an upcoming exam and found himself half an before the exam feeling completely frozen with the fear of not being able to remember any of the material he had studied over the last weeks. The students fear increased by the minute until he had convinced himself that there was no point sitting the exam as he would most definitely fail. The student then remembered the book he had read of Frankl's on paradoxical intention and immediately said to himself that as he was going to fail anyway, he may as well give it his best shot and write down absolute non sense so to confuse his lecturer. The student continued with these paradoxical thoughts telling himself to write such garbage and show the lecturer what it really looks like to fail, as his thoughts of trying to fail became more and more ridiculous the student had actually made himself laugh which in turn relaxed him. When the student finally sat the exam he found that every question made sense to him and that he was in a great mood whilst doing it. The student received an A grade for the exam (Frankl, 1975). This story illustrates that the deliberate attempt to evoke humor is an essential element to paradoxical intention (Lazarus, 1971). The next account is that of a female client in a therapeutic setting. The young female went to see her counselor for help with the problems she was having at home with her parents. As she entered the room the counselor noticed that she was very tense and uptight and that she had a stutter because of these nerves. The counselor knew from past experience that asking her to try and relax would not work, in fact it would make her more uptight if anything and therefore wouldn't benefit from the session so the counselor decided to begin by using paradoxical intention. The counselor asked the client to try and be as tense as she could be, to act as nervous and uptight as she possibly could be. The client began clenching her fists so tightly that she made her hands tremble, the counselor told her that was a good effort but that she should try even harder to be more nervous. The client began laughing and said that she initially was nervous however now that she had been asked to be nervous she in fact couldn't be. The client, pleasantly surprised remarked that the more she tries to be tense and nervous the less she's now able to be. The counselor recalled that it was the humor from using paradoxical intention that assisted the client to realise that firstly she was a human and secondly a client as well as that the counselor was firstly a human also. Pointing out our humaneness is a crucial element in the therapeutic process (Frankl, 1975). Next in the case studies is one of a patient who suffered a severe and debilitating case of obsessive-compulsive neurosis and despite having undergone various other treatments including psychoanalytic therapy and ECT, nothing seemed to help this man. The patients neurosis had lasted 12 years and during the last seven years had developed an obsession and fear of choking. The client found it extremely difficult to eat, drink or swallow due to the fear or even cross the road as he had obsessional thoughts the he would choke whilst in the middle of the road. As seen in other cases where paradoxical intention has been used, the patient was instructed to attempt to do the very thing that he feared the most which was to choke. The patient was given a glass of water and asked to try as hard as he possibly could to make himself choke, which he was unable to do. The patient was sent home and asked to try and make himself choke on a glass of water at least three times a day as well as practice relaxation techniques whilst eating, drinking and crossing roads. Following these instructions the next few therapy sessions focused on anxiety reduction techniques as well as paradoxical intention techniques which resulted in the patient reporting in a complete disappearance of his fears and obsessions associated with choking (Jacobs, 1972). Lastly is the case of a women who suffered the severe and debilitating effects of claustrophobia for 15 years. This clients phobia included air craft flying, travel on busses and trains, being in an elevator, cinema as well as shopping centre. Any place that involved being in a confined space no matter how big or small. The client presented to the therapist eight days before she had to leave on a plane for work and after efforts had been made to treat her using blocking techniques on any unwanted thoughts, Frankl's techniques were then introduced. The clients cognitions and behavioural responses were attacked by paradoxical intention techniques to treat her irrational phobia. The client was advised that whenever she experienced the catstrophic thoughts of choking and dying due to not being able to breathe, she was to stop trying to fight or block them but instead tell herself that there is nothing physically wrong with me and that I am merely hyperventilating. The client was then asked to prove this to herself by trying to worsen her symptoms right then and there by exagerating her symptoms and trying to suffocate on the spot. Following this she was taught some relaxation techniques to remain calm and relaxed afterwards, with these techniques administered she was reminded not to try and supress the fears as they occur. The client underwent dessensitization techniques where she visited her most feared places and tried to relax, hold her breathe if she hyperventilated and tell herself that she doesnt care and that she can handle it because she wants to prove to herself that nothing will happen. The client was seen a few days before leaving on the plane and reported no anticipatory anxiety about flying. The client was then seen 15 months after treatment and reported that her previous phobia had not returned (Jacobs, 1972). Past research into the effectiveness of paradoxical interventions have often been inconsistent as observational studies and single case studies have been known to produce dramatic effects whilst controlled experimental studies have obtained more modest effects amongst participants. It has been suggested by Shoham-Salomon & Rosenthal (1987) that these effects may be due to the differences amongst participant populations, for example pre selected, severe cases that have previously been resistant to change are often the subject of observational and single case studies, whereas less severe cases often make up the participants in controlled research experiments. Shoham-Salomon & Rosenthal (1987) conducted a meta-analysis of 12 studies on paradoxical intention with four main objectives in mind. These were to firstly examine the overall effects of paradoxical interventions compared to other treatments as well as control procedures, secondly to look into the durability of the effects after treatment compared to other treatments, third to examine the effectiveness of paradoxical interventions used in more severe compared to less severe cases and lastly to examine the effectiveness and efficacy of different types of techniques used in paradoxical interventions. After analyzing the data from the 12 studies that looked at paradoxical interventions researchers found that for the overall effectiveness of paradoxical interventions, such techniques were as effective when compared with a wide range of other therapeutic procedures. No differences were found in the outcomes for clients treated in a clinical setting suffering insomnia and agoraphobia, in fact the data suggested that paradoxical interventions were more effective for more severe cases as well as a month after termination of therapy when compared to other treatments. These findings highlight the durability of paradoxical techniques used or perhaps a surge in its effectiveness for the client as time moves on after their course of treatment. When looking at the symptom severity of the client, results from the meta-analysis highlight what a powerful tool paradoxical intention can be, the more severe cases showed the largest benefit from these techniques whilst milder cases appeared to benefit more from alternate treatments. Lastly, when researchers looked into the efficacy of different types of techniques used in paradoxical interventions they found that asking a client to voluntarily produce the symptoms that have previously been experienced as spontaneous and involuntary is the oldest, most practiced and most effective strategy in paradoxical intervention's when used with positive connotations. Whilst its not uncommon for people to occasionally experience difficulty when trying to fall asleep due to excitement or stress during the day perhaps related to an isolated event, some people experience serious and ongoing difficulty in falling asleep which in turn disrupts their optimal level of functioning. Sleep onset insomnia appears to be associated with a performance anxiety based on the individuals fear surrounding not being able to fall asleep. Whilst many therapeutic programs exist to assist clients with obtaining healthy sleeping patterns, some may infact exacerbate the anxiety clients suffer from. Deep muscle relaxation, systematic desensitization, covert conditioning, thought stopping and operant stimulus control are all procedures that have been used in the past to assist clients who suffer with insomnia, however paradoxical intention appears to be a relatively easy, quick and effective treatment for sleep onset insomnia. In a study by Ascher & Efran (1978) paradoxical intention was used as a behavioral prescription which required clients to produce the responses that seemed to be inconsistent with the goal they were trying to obtain. During this study clients were asked to remain awake for as long as they could as opposed to focusing on the anxiety provoking goal of trying to relax and fall asleep. Five clients participating in the present study demonstrate how exaggerating the very behavior they are seeking assistance to reduce works to cure insomnia when other relaxation and desensitization programs have failed to work. Participants began the study by charting their length of sleep time as well as recording details about their sleep situation like, mood when going to bed, number of times the awoke if they did fall asleep and the quality of any sleep they may have had, this established a baseline for researchers. Next, participants were taught some techniques in deep muscle relaxation which focused on some exercises before going to bed. During the first session out of ten to come, participants were informed of a modification technique that may enhance their treatment which was paradoxical intention. Participants were instructed to try and remain awake for as long as they could after getting into bed at night, they were told the reason for doing this was because they were required to provide detailed descriptions of their thoughts just prior to falling asleep therefore they should remain awake for as long as possible. The paradoxical intention component of the sleep program lasted for two weeks, when participants were asked to give the detailed descriptions of thoughts prior to falling asleep they reported that they were unable to as they had fallen asleep trying to do so. The researchers asked the participants to try harder to stay awake as they required their descriptions of their thoughts as part of their study however the paradoxical intervention techniques had worked well as none of the participants could stay awake after getting into bed. The performance anxiety that some people experience after getting into bed at night is maintained by two major themes that are thought to be the constant monitoring of their personal sleep readiness and secondly be focusing on the negative aspects of not getting enough sleep. The concern about performance and the failure contingencies associated only maintain the vicious cycle of fear involved with insomnia (Ascher & Efran, 1978). This cycle can be broken by using paradoxical intention techniques as anxiety is reduced because the situation is redefined for the client. Paradoxical intention removes individuals from the negative and repetitive cycle often associated with anxiety, phobias and obsessive compulsive disorders. Ascher, M. L. & Efran, J. S. (1978). Use of paradoxical intention in a behavioral program for sleep onset insomnia. Journal of Consulting and Clinical Psychology, 46, (3) 547-550. Briggs, G. J. (1970). Courage and Identity. A paper read before the Royal Society of Medicine on April 5th, 1970. Frankl, V. E. (1975). Paradoxical intention and Dereflection: Two logotherapeutic techniques. In S. Arieti & G. Chrzanowski (Eds. ), New Dimensions in Psychiatry. New York: Wiley, 1975. Hutzell, R. R. (2006). The continued relevance of Man's Search for Meaning. An Introduction to Logotherapy-Contemporary Psychology, 51, (5). Jacobs, M. An holistic approach to behavior therapy. In A.A. Lazarus (Ed. ), Clinical behavior therapy. New York: Brunner-Mazel, 1972. Lazarus, A. A. (1971). Behavior Therapy and Beyond. New York: McGraw-Hill, 1971. Long, J. L.(1995). The quest for meaning in the twenty-first century. The International Forum for Logotherapy, 18, 60-62. Schulenberg, S. E., Hutzell, R. R., Nassif, C. & Rogina, J. M. (2008). Logotherapy for clinical practice. Psychotherapy Theory, Research, Practice, Training, 45 (4), 447-463. Shoham-Salomon, V. & Rosenthal, R. (1987). Paradoxical interventions: A meta-analysis. Journal of Consulting and Clinical Psychology, 55, 22-28. This page was last edited on 12 February 2016, at 04:33.